As the BBC dig up new evidence, we haven’t seen the end of the LIBOR story. It’s coming up to the 10th anniversary of the start of the Great Financial Crisis, but its aftereffects are still with us. For one thing, I think it’s plausible to say that Brexit and the election of populists like Donald Trump are a direct consequence of the Crisis. Another effect is the continuing pursuit of those considered to have been responsible for the mess: hence the sequence of investigations. But the story around LIBOR – probably the most serious of these post-Crisis scandals – just got a lot more complicated. On Monday 10th April, the BBC aired a Panorama programme that was all about LIBOR. Peculiarly, it was broadly sympathetic to the plight of the relatively junior employees of banks who have been jailed for offenses related to the scandal. Why? Because the programme claimed that the affair reached much higher up banks’ chain of command than had previously been known and that the junior people were just the fall guys. Specifically, the programme presented evidence that suggested that the Bank of England had pressurised Barclays to submit lower LIBOR quotes. One was a leaked official document from September 2007 from the USA. 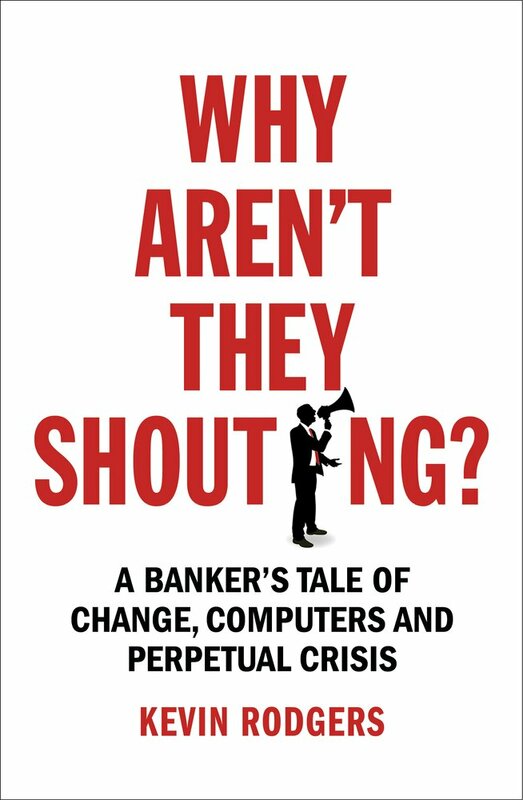 The other was an audio recording from October 29th 2008 of a conversation between a rate submitter at Barclays and his boss (rather charmingly, this was represented on the programme as being played on an old-school Watergate-style tape deck). In the audio the boss tells the submitter – who, incidentally, is now in jail – that there was pressure from the Government and the Bank of England to submit LIBOR rates that were lower than the rates that Barclays was paying in the market. The 29th of October is also the date of a mysterious – and as far as I know unrecorded – phone call from the BoE’s Paul Tucker to Bob Diamond. The conclusion the programme draws is the obvious one – the BoE (possibly at the behest of the Government, although there is no evidence for that) leant on Diamond who leant on his subordinates who then lowballed the rates. Most disturbing of all, there were allegations that, during the Crisis, several banks systematically entered LIBOR submissions that were too low with the tacit, or even explicit, encouragement of banking regulators. Since LIBOR submissions measure borrowing costs and higher than average borrowing costs could have signaled that a bank was in difficulty, it is easy to see what the motivation could have been. Regulators have strenuously denied this, although staff (and, later, senior management) at the Federal Reserve were made aware of underreporting by traders from Barclays on a phone call on April 8th 2008: “There was um, an article in the Financial Times, charting our LIBOR contributions and comparing it with other banks and inferring that this meant that we had a problem raising cash in the interbank market”, the trader told the Fed. The consequence? According to the trader, submissions were made, ”so we just fit in with the rest of the crowd, if you like…so, we know that we’re not posting um, an honest LIBOR”. It led to some questions being asked, but no action. So why does all this matter? First off, as the Panorama programme makes plain, it is possible that knowledge of these instructions might have altered the outcomes of the criminal trials of the juniors. The defendants’ claims that their actions were endorsed and encouraged by management would have looked more plausible. As it was, the evidence was not deemed to be admissible on an almost risible technicality. I’m not sure this line of argument would have worked when the offense was collusion, but the point is taken. It won’t have hurt, that’s for sure. Second, it is possible (and I’ll watch myself here in case I get sued) that people like Mervyn King, Paul Tucker and Bob Diamond were not exactly accurate in their memories of when they had first heard of the practice of LIBOR lowballing when they testified before a Commons Select Committee in 2012.
was the essence of the exchanges. This is a fact pattern not entirely consistent with the picture Panorama painted. People tend to get very upset when Parliament is misled. The slightly weak response from the BoE since the programme went on air has been to say that, “at the time LIBOR wasn’t regulated”. To put it mildly, this is not the tone of the language that was being used when LIBOR manipulation was being described as the ‘crime of the century’. Now I’ve heard it claimed that lowballing didn’t really hurt people. Maybe you could say that the alleged actions of the BoE and others (naming no names but I’d be interested to hear the conversations between certain other major central banks and their biggest lenders) simply had the effect of ensuring panic didn’t spread. “The only thing we have to fear is fear itself,” and all that. Indeed, it is true that lowballing – a practice that misrepresented LIBOR by margins hundreds of times bigger than anything the small fry managed with their manipulation – lowered rates for a few homeowners with non-standard, LIBOR-linked mortgages. And every politician and newspaper proprietor loves a homeowner. But there were victims of LIBOR lowballing. One such unfortunate was featured in the programme – the owner of a caravan park who lost a fortune on an interest rate hedging product that made him pay out when rates were low. But other victims were more numerous and way more important: the shareholders of banks. LIBOR rates are an excellent barometer of a bank’s health. If they were manipulated lower on the order of central banks or governments then shareholders would not have had the information they needed to make risk decisions. They were lulled into a false sense of security. At the margin, this must have cost a fair few of them serious money, given the collapsing path of share prices through 2007, 2008 and early 2009. I’m not sure whether you can sue a central bank. Let’s see. What is sure is that bank employees have been jailed for multiple years; Tom Hayes went down for a mind-blowing 14 (later cut to 11). Some of these guys are not just taking it on the chin. All this means that this story will run and run, I think. Or roll and roll, if you prefer.